Weeds are really just plants that have evolved to self-propagate rapidly. To most people they are a nuisance but to some, who recognize they are just plants, a boon. 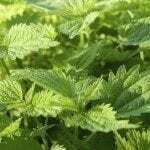 Stinging nettle (Urtica dioica) is one such weed with a variety of beneficial uses from a food source to a medicinal treatment to nettle garden fertilizer. These nutrients, along with Vitamins A, B1, B5, C, D, E, and K, combine together to create a tonic and immune builder for both the garden and the body. Nettle garden fertilizer is also referred to as stinging nettle manure, both because of its use as a food source for plants and also possibly in reference to its smell as it brews. There is a quick method for making nettle fertilizer and a long range method. Either method requires nettles, obviously which can either be picked in the spring or purchased at a health food store. Be sure to wear protective clothing and gloves if picking your own nettles and avoid picking near a road or other area where they may have been sprayed with chemicals. 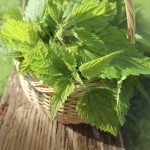 Quick method: For the quick method, steep 1 ounce of nettles in 1 cup of boiling water for 20 minutes to an hour, then strain the leaves and stems out and toss in the compost bin. Dilute the fertilizer 1:10 and it’s ready for use. This quick method will give a subtler result than the following method. 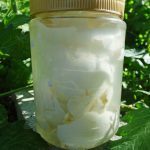 Long range method: You can also make nettle garden fertilizer by filling a large jar or bucket with the leaves and stems, bruising the foliage first. Weight down the nettles with a brick, paving stone, or whatever you have laying around and then cover with water. Only fill three-quarters of the bucket with water to allow room for the foam that will be created during the brewing process. Use non-chlorinated water, possibly from a rain barrel, and set the bucket in a semi-sunny area, preferably away from the house since the process will likely be a tad smelly. Leave the mix for one to three weeks to ferment, stirring every couple of days until it stops bubbling. Finally, strain out the nettles and dilute the concoction at one part fertilizer to 10 parts water for watering plants or 1:20 for direct foliar application. Undiluted mix makes an excellent organic herbicide and can be added to the compost bin to stimulate decomposition. When using nettles as fertilizer, remember that some plants, like tomatoes and roses, do not enjoy the high iron levels in nettle fertilizer. This fertilizer works best on leafy plants and heavy feeders. Start with low concentrations and move on from there. Use some caution when using nettles as fertilizer since the mixture will undoubtedly still contain prickles, which can be quite painful. This free, albeit somewhat stinky food is easy to make and can continue to be topped off through the year by adding more leaves and water. At the end of the growing season, simply add the nettle dregs to the compost bin and put the whole process to bed until spring nettle picking time.